Is it responsible for airlines to trust your safety to employees who work under enormous financial strain? Airlines across the globe seem to think so. Even though the global airline industry is projected to net $38.4 billion in profit in 2018, they consistently fail to provide fair wages or safe workplaces for employees tasked with airport security, your personal transportation within the airport, and other services that directly affect customers safety. And this is to say nothing of customer ease and satisfaction. Airport workers across the globe held a day of action to address their concerns, calling on airlines like United to provide fair wages, union rights, and safe workplaces for their employees. One security officer in Newark stated that because of United Airline's grossly negligent policies toward their workers, she cannot afford to pay for her son's diabetes medication. She fears for her child's life daily. Can she effectively keep the airport safe from terrorists while living in a constant state of terror herself? And can she possibly be expected to give weary travelers a smile, too? 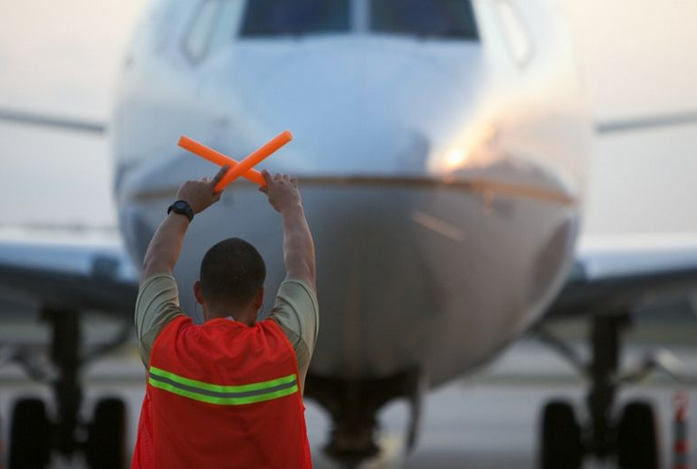 Airport jobs used to be good union jobs, but the global airline industry is increasingly subcontracting out to irresponsible, low-bid contractors that cut corners on wages, benefits, and safety standards. With the support of the Service Employees International Union airport workers took action at airports that control a whopping 36% of world air travel, where nearly 4 million people pass through each day. Act.tv was live on the scene across the US to bring you the action.